I’m sure you know what an animal safari is, but have you ever heard of an art safari? We hadn’t either. So, when we heard that a hotel in Ghana was organising one we had to find out more. Kempinski Hotel Gold Coast City is located in Accra, Ghana. In a bid to shine a light on some of the ‘cultural and artistic experiences’ available in the city, the hotel is hosting the first ever Accra Art Safari. 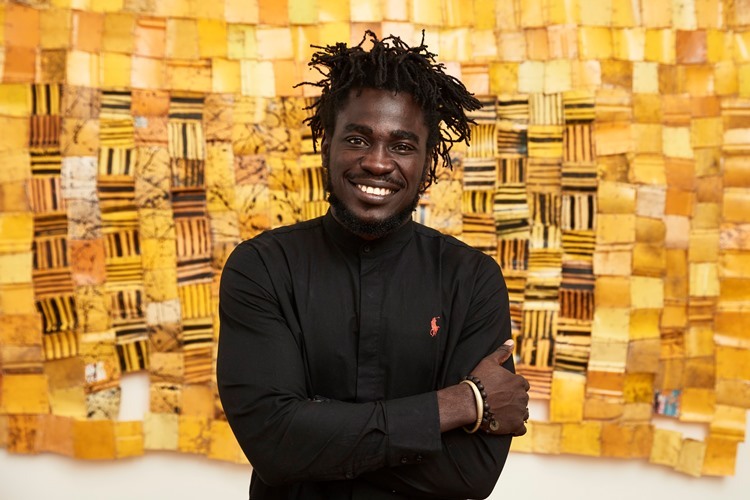 The safari will consist of a tour of Acca’s best art locations to encourage a deeper understanding of the rapidly evolving art scene in Ghanaian capital and introduce emerging talent. So without further ado, DesignCurial invite you to hop in our jeep and take a sneak peek of what this safari has to offer! Kick off the tour in Kempinski Hotel Gold Coast City’s very own gallery. The current exhibit ‘All that Glitters’ curated by Osei Bonsu features the work of Yaw Owusu. Using found objects to create his sculptures, Owusu turns forgotten materials into beautiful works of art. One material that crops up repeatedly in his work is ‘pesawa’ coins. He treats the loose change with salt to reflect the fishing industry or vinegar to represent the eastern agricultural regions of Ghana. Owusu’s exhibition is open until August 15 2017. Situated in the leafy suburb of East Legon, Nubuke Foundation is the best place to go to get a true taste of Ghanaian culture, heritage and history. Programmes range from art workshops to poetry performances and drama. Due to its collaborations with the University of Ghana, the foundation is able to offer fresh exhibitions showcasing up and coming talent. Community programmes encourage local people to get involved. The EhaLakasa programmes showcase young actors and poets. Take a walk around this Aladdin’s cave of unique handmade items including carvings, fabrics and baskets. The accompanying art gallery showcases regional art at very reasonable prices! 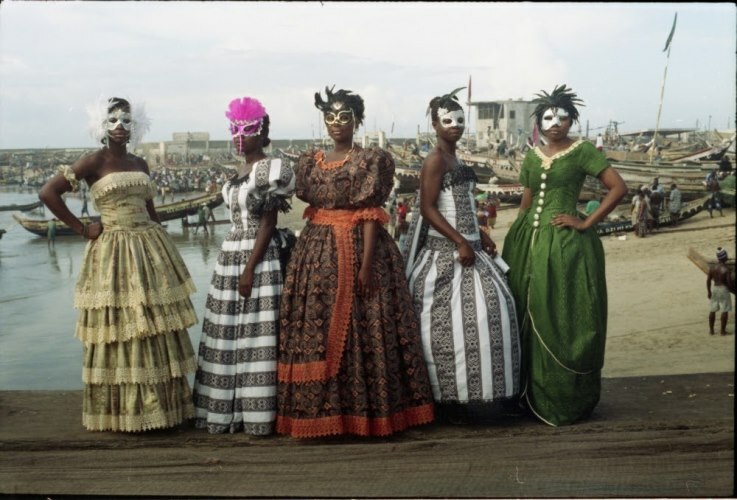 Since opening in 2005 the Foundation of Contemporary Art has provided a platform for contemporary art in Ghana and offers the most extensive art library in Accra. Jamestown is Ghana’s oldest suburb. Situated on the coast of down town Accra, the area is home to a vibrant local community. Brazil House is a restored museum and gallery and is a hub for modern youth art. The Accra Dot Alt is situated within the museum and is an integral space for emerging artists wanting to get their name out there. Jamestown is also home to the oldest photographic studio in Accra offering rare imagery of Ghana through the years. 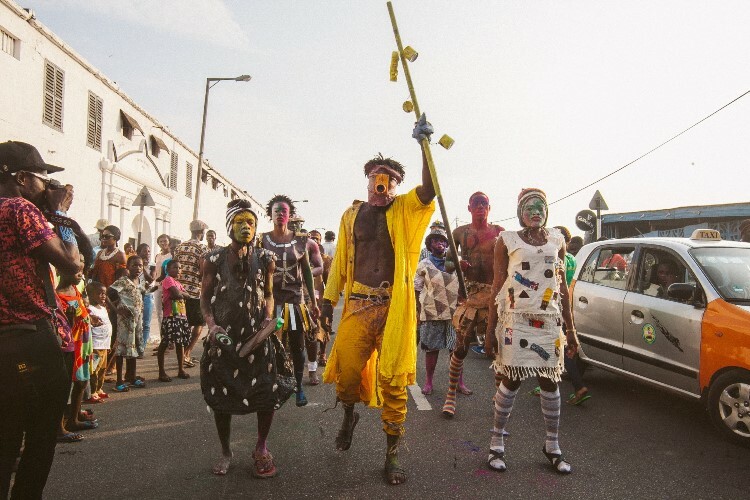 Every year from August 14- 20, the streets of Jamestown are taken over by the Chale Wote street art festival. The festival brings art, music, dance and performance out into the streets. The festival encourages Ghana based and international artists to network and appreciate art together. The theme for this year’s festival is Wata Mata Wata and seen and unseen.